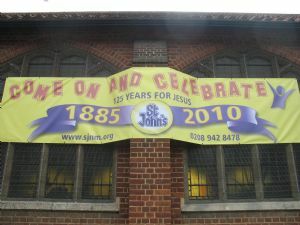 Our 125th Anniversary celebrations kicked off on Saturday June 12th with an exhibition of the 125 years in and around St John’s. 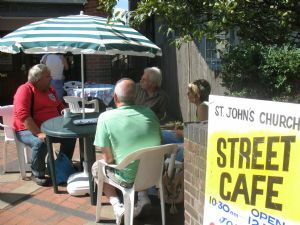 Our regular Street Café provided refreshment alongside the exhibition. 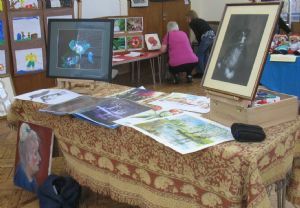 For those who missed the exhibition there was second chance to walk down memory lane with us on Saturday 11th December and to visit the Street Café. 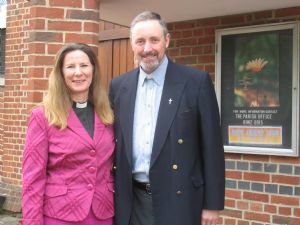 In our 125th anniversary Visiting Preacher programme we welcomed back Bishop Martin Wallace - curate-in-charge at St John's from 1974 to 1977 and currently Bishop of Selby to our 10:30 Service on October 17th. 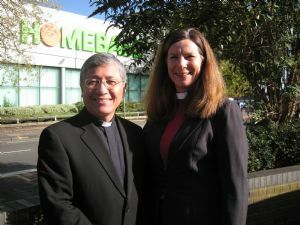 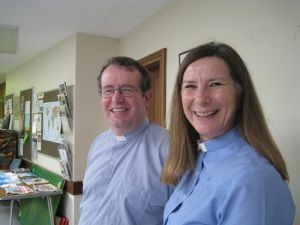 Rev Eddie Marquez - curate-in-charge from 1998 to 2001 - was with us on Sunday 24th October and Rev Anthony Marquez - curate-in-charge from 1992 to 1997 - joined us in our 125 Celebrations on 31st October. 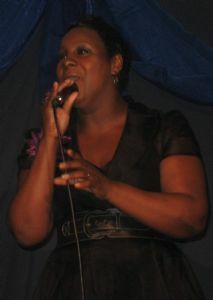 An Evening with Beverley Trotman - Saturday 9th October. 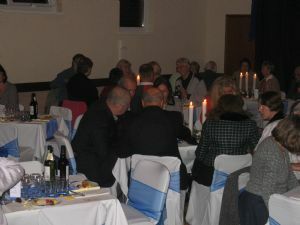 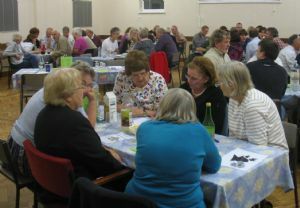 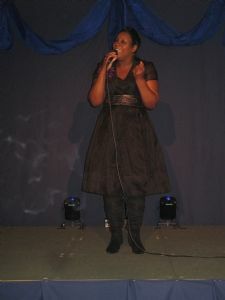 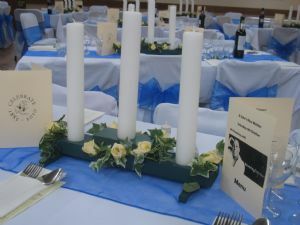 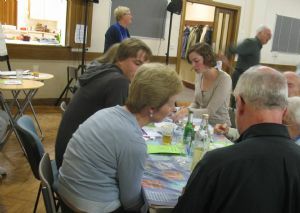 Many local people joined St. John's regulars for a three course meal, in the company of the amazing X-factor finalist. 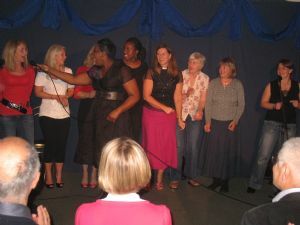 Beverley sang songs we knew from X-factor as well as from her 'Voice of Hope' praise CD, interspersed with her fascinating story. 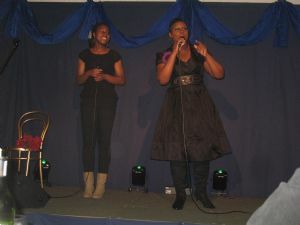 She and her daughter raised the roof with impromptu backing singers, and touched our hearts with her beautiful voice. 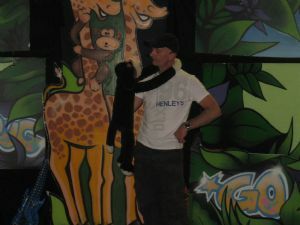 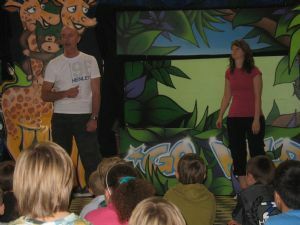 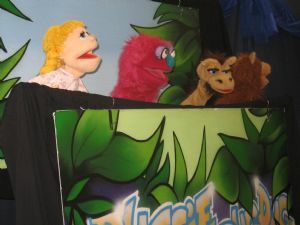 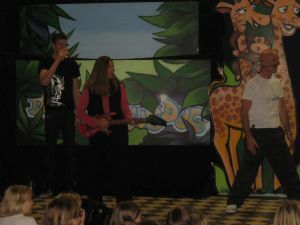 On Saturday 2nd October Duggie Dug Dug and his crazy team came to St. John's Church Centre and took 100 children & grown-ups on a wildlife adventure through God's amazing world. 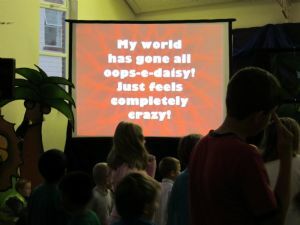 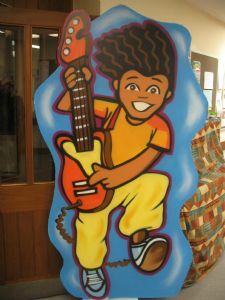 During an action packed evening with music, dancing, puppets, jokes and lots of fun, Duggie brought the message about Jesus as well as God's love of His planet. 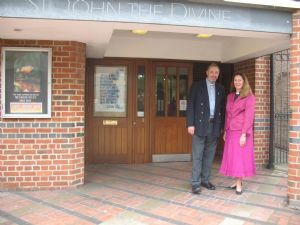 At the Harvest Service at St John's on Sunday 3rd October Rev Helen Durant-Stevensen drew attention to both how much we in Europe have to eat and how little each day some in other parts of the world have. 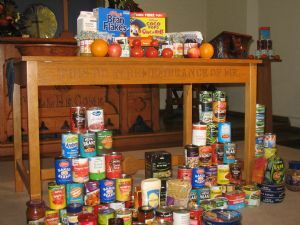 The gifts collected at this all-age Harvest Service will go to the Kingston Action for Homelessness. 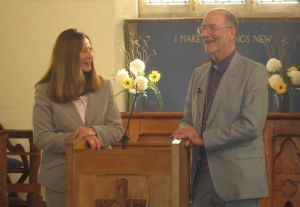 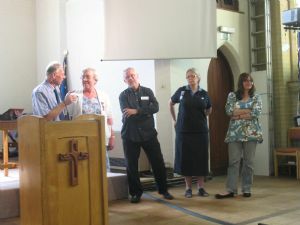 Richard Zair - curate-in-charge from 1983 to 1991 came back to St. John's at on 19th September. 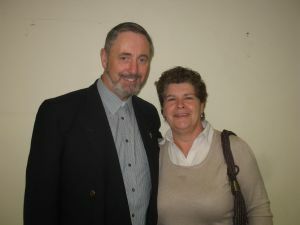 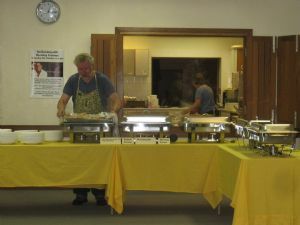 He preached at our 10:30 Service and joined us for lunch afterwards. 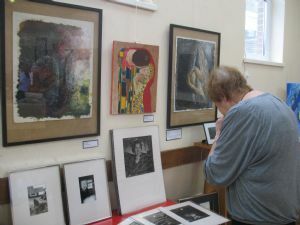 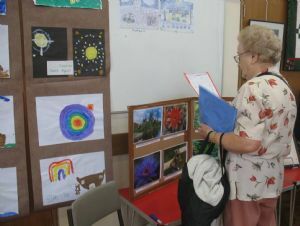 Continuing our 125th celebrations into the Autumn term we began on Saturday 11th September with a Community Art and Craft Show - an exhibition of work by local artists, and a Quiz Night in aid of the local children & young people’s charity Oxygen. 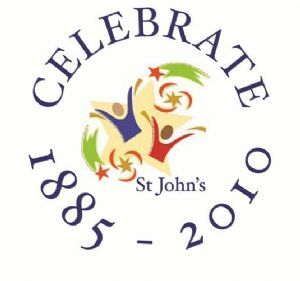 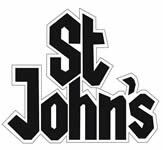 These were two events where St. John's regulars and the local community were both well represented. 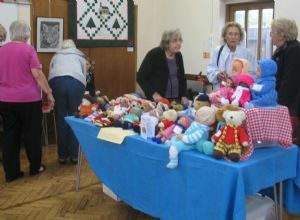 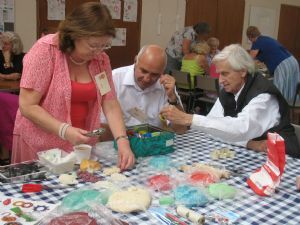 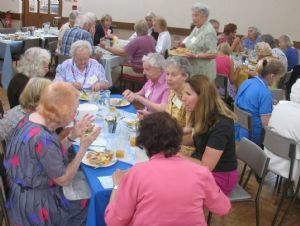 On Friday 6th August we welcomed our over 60's friends to St. John's for a lunch and craft afternoon. 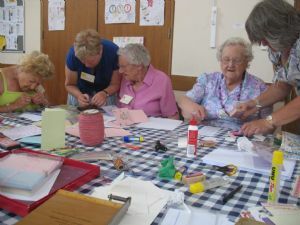 As well as spending time making things and eating heartily, we were entertained by our Associate Vicar Helen Durant-Stevensen who shared with us some memories and a choice of her favourite music. 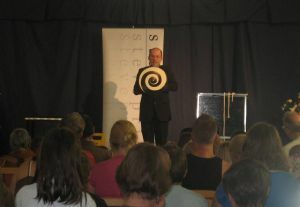 Magician Steve Price entertained an enthralled audience on Saturday 17th July in a programme of Magic for all the Family. 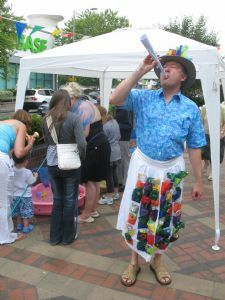 For a couple of hours he made things appear & disappear right in front of your eyes. 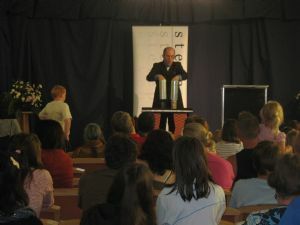 Steve took time during his intriguing tricks and entertaining illusions to present a gospel message in his unique style. 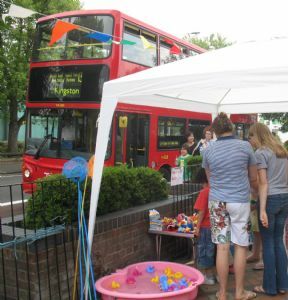 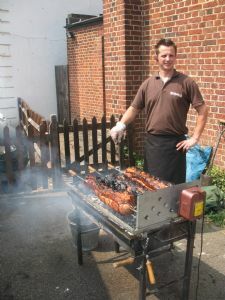 Brilliant sunshine shone on us for the Family Fun Day & Barbecue on Saturday 26th June. 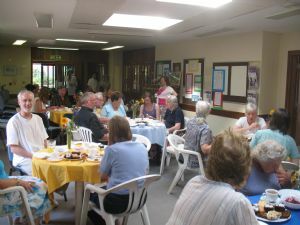 Regulars at St.John's and many from the local community enjoyed the barbecued roast pig, fished for ducks or took a lucky dip - all to celebrate St. John's 125th birthday. 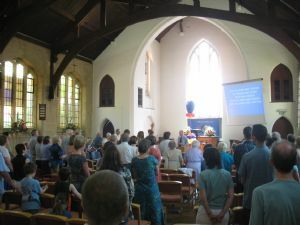 The weekend continued with an Anniversary Service on Sunday 27th led by Roger Parham who discovered the significant events that first brought church members to St John's over the past 40 years. 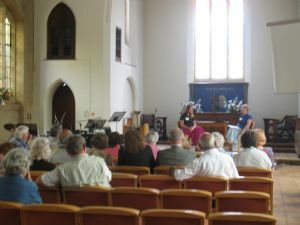 Helen's message on Ephesians 2: 11-22 reminded us of the diversity of people in our neighbourhood, and how we should overcome barriers to express God's love for all people. 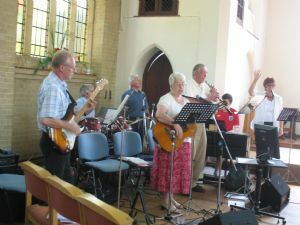 Later, following an excellent Cream Tea, the Songs of Praise evening service gave the opportunity to hear a number of our members' favourite songs and the significance of their choices. 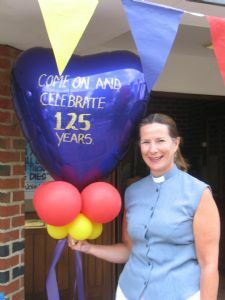 In the Autumn of 2010 we were honoured to welcome back as a part of the 125th celebrations a number of past curates-in-charge of St. John's to preach at our 10.30 Service. 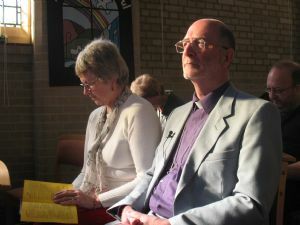 Earlier in 2011 we also welcomed back to St. John's Peter Yacomeni curate-in-charge from 1961 to 1964.